The Timex Ironman Run X50+ running watch with HRM has been uniquely designed to provide convenient workout feedback and more right on your wrist. Its high-resolution LCD display features the Indiglo® night-light system and there is the Night-Mode® Constant-On option to ensure great visibility in all conditions. The device is water-resistant up to 50m (164ft) and can be paired with your smartphone via Bluetooth® to accept or reject calls and show texts, notifications and caller ID directly on the watch with your phone tucked away. Moreover, you are able to control your music and measure your pulse thanks to the included premium heart rate monitor. The lightweight watch is compatible with a choice of fitness apps and it also features a 50-lap stopwatch, 2 interval timers, 7-workout review and it still provides time and date. for submitting product information about Timex Ironman Run X50+ Running Watch with HRM We aim to answer all questions within 2-3 days. 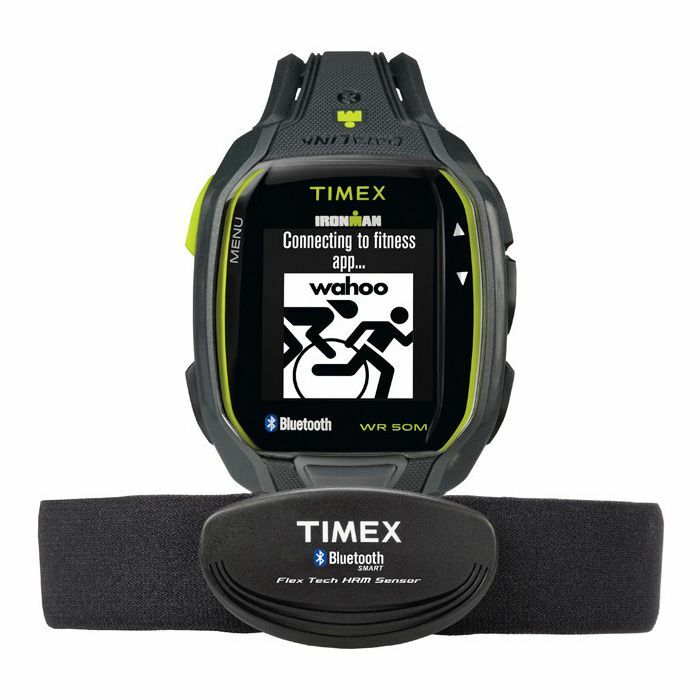 for submitting product information about Timex Ironman Run X50+ Running Watch with HRM. We aim to answer all questions within 2-3 days. If you provided your name and email address, we will email you as soon as the answer is published. for submitting product review about Timex Ironman Run X50+ Running Watch with HRM.